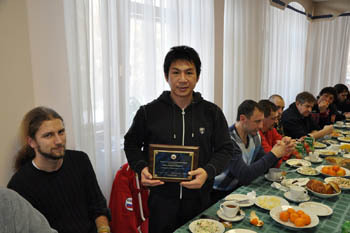 The traditional West Russian Winter Camp was held from February 16 thru 19th, 2012 in Moscow organized by branch chief Victor Belov and branch chief Alexey Bashlykov. 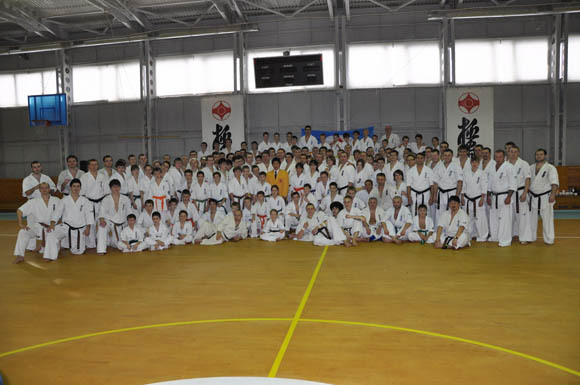 Sensei Masafumi Tagahara from Japan was invited as the guest instructor and it had a record 270 participants from more than 25 regional Dojos. 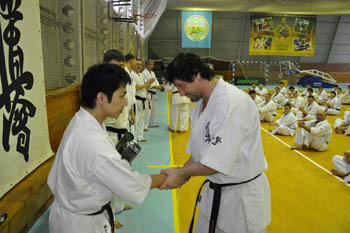 The camp had 2 full days of training and a day for the Dan-Kyu grading test. 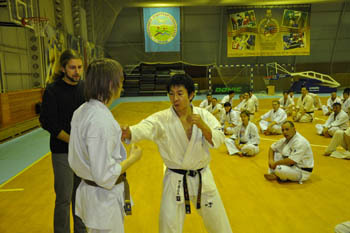 Sensei Tagahara instructed 5 training sessions which focused on Kihon, Kata and Kumite. 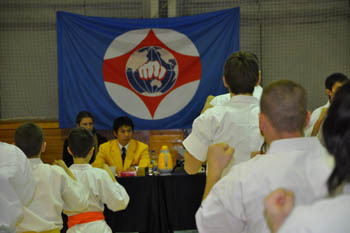 The traditional 30km marathon "Challenge the Limits" was also a part of the camp with 56 members participating and 51 reaching the finish line. 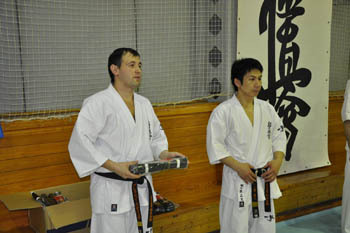 Sensei Tagahara took part it the 20km marathon which is a prerequisite for members over 18 years of age taking the Dan-Kyu grading test and finished successfully. 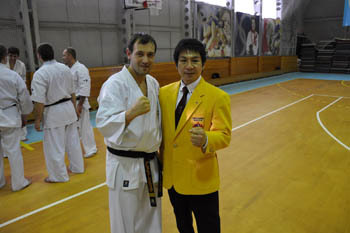 There was also a marathon for women, children and seniors.